Italy’s Winning Streak over the Germans Continue. The Heavyweight Germans, with Mario Gomez, Mesut Oezil, Philip Lahm, Lukas Podolski and many others were looking favorites for the Euro 2012 Title. They had won all round robin games and the quarter-final pretty convincingly. But Mario Balotelli’s perfection along with Antono Cassano’s creativity saw the Germans losing to the Azurris eighth time consecutively in competitive tournaments. The new Entry to The champions on this blog is Mario Balotelli for his two goals in the Semi Final against Deutsche. The 21 year old Manchester City striker disturbed the net twice in quick succession to give Italy the upper hand. The German Defense was left shattered by Balotelli’s pace and control of the ball. The Italians are running to the finale as dark horses beating the Mighty English and Germans. Is Spain their next target? Let’s see on the Final day of Euro 2012. I met a US tourist somewhere in Ajmer in the Ajmer Shareef, I told him my name but he was not comfortable pronouncing it. So I told him my initials, i.e. KKK and he was furious on me. I was in my eighth standard that time and didn’t know what KKK meant for Americans. He callest me a racist but as I was unable to understand it that time, I couldn’t even explain it to him. Thanks to Google, I got to know that it was Ku Klux Klan, a racist group abbreviated as KKK. After this I have avoided using KKK on my social networks. Well Well! this was my incident. I thought racism had been uprooted and in this 21st century we all live respectful live and enjoy equal freedom, whatever the race, cast , religion may be. Unfortunately people proved me wrong. Since its origin from Apartheid or much before, the meaning of racism has taken various forms. Even if someone calls you a monkey, he or she is a racist. I always tease my little sister calling her monkey, does that mean I am racist? No. I am NOT here to support RACISM. On the contrary, I am opposed to it both in principle and policy. What I tried to say was the meaning of racism has taken a wider aspect with comment on nationality or in case any particular state of a country is earmarked as racist behavior. But the old form of Racism, the discrimination of skin colour sting back in the European Football Championship of 2012, in short EURO 2012. 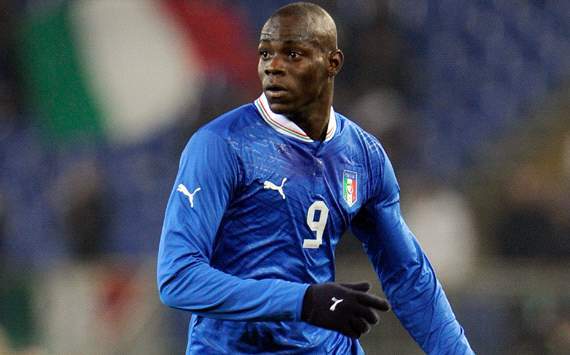 It was Italy versus Spain when some Spanish Fans were allegedly reported for racists comments on Italy’s Mario Balotelli. It was difficult to control fans who went on to be violent and the Russian football Association was fined by UEFA. There are reports of such incidents all over Poland and Ukraine. BBC had broadcast a short documentary on alleged racism in the host nations before the games had commenced. But UEFA and Polish Football Association denied all those reports. Some wise person had said “Ignorance is bliss” but in this case it proved to be a curse. The Fans took the level of tolerance and spirit of the game to the lowest level. Then UEFA comes up with the Initiative of “Respect Diversity”. The Captains of team made speeches of respecting the spirit of the game before the game began. ( In the first Semi-Final between the Spaniards and the Portuguese). In the end I would just say one thing, that in the (e)motion of the game fans say many things in different languages. Fans must remain it a spirited sport not a passion which has no bounds. WE ALL ARE HUMANS. MOTHER NATURE DOESN’T DISCRIMINATE THEN WHY DO WE?